The Hollywood Crop Top is an update to our classic crop styles. Featuring adjustable shoulder straps.. The Hollywood Hoodie is an update to our classic hoodie styles. 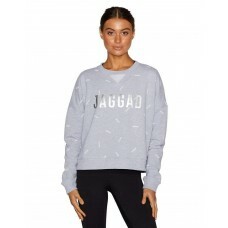 Finished in a heavy-weight 100% loop..
A signature Rocky X Jaggad piece, the Lafayette Leggings are a fresh colourway in our popular full l..
A Signature Rocky X Jaggad piece, the Lafayette Sweater is an update to our classic sweater style. F.. The Laneway Drop Shoulder Sweater is a seasonal update to our drop shoulder cropped sweater silhouet.. The Laneway Trackpants are a return to our classic slim-leg style. Finished with an elasticised wais.. The Offside 7/8 Leggings offer a colour-blocked update to our classic leggings. Contrasting colour a.. The Offside Drop Shoulder Sweater is a fashion-forward take on the classic sweater. The drop shoulde.. The Offside Striped Classic Tee is a classic take on our core tee. 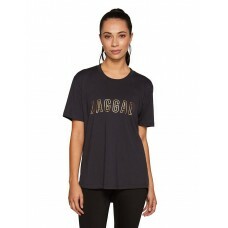 With a screen printed Jaggad logo.. Perfect to wear on rest days or after the gym, the Onyx Oversized Tee is constructed from lightweigh..
From off duty, to walks with friends, the Orchid Oversized Tee is an essential statement piece this .. The Red Compression leggings are a seasonal update to Jaggad’s core compression leggings. Constructe.. The Rosebowl classic sweater is a seasonal update to our classic sweater silhouette. Updated details.. The Side Step muscle tank is a colourful update to our core muscle tanks. Featuring a drop armholes,.. The Side Step muscle tank is a fresh olive drab update to our core muscle tanks. Featuring a drop ar..